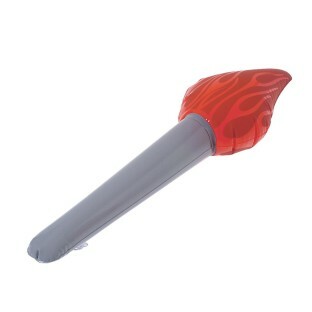 Kick off your opening ceremonies with a running of the torch. This inflatable vinyl torch is the perfect accessory for your backyard world games or a school field day. Also makes a great decoration for fantasy medieval parties and creates a safe castle ambiance for any little prince or princess. Silver body with red flames. 16” Long.